This summer Normandy Vision and Missions Vacances (part of United Beach Missions ubm.org.uk) will be working together to hold a joint mission in Houlgate, Normandy. The two organisations will be combining their resources and personnel to hold a Bible Exhibition in the church together with activities on the beach and in the church aimed at presenting the gospel to young people and their parents. Normandy Vision have held Bible Exhibitions in August in the church in Houlgate for the last seven summers. Missions Vacances held beach missions at Holugate for many years in the twentieth century and the first few years of the twenty-first century, but in recent years have not been able to continue with their summer outreach programme in Houlgate. 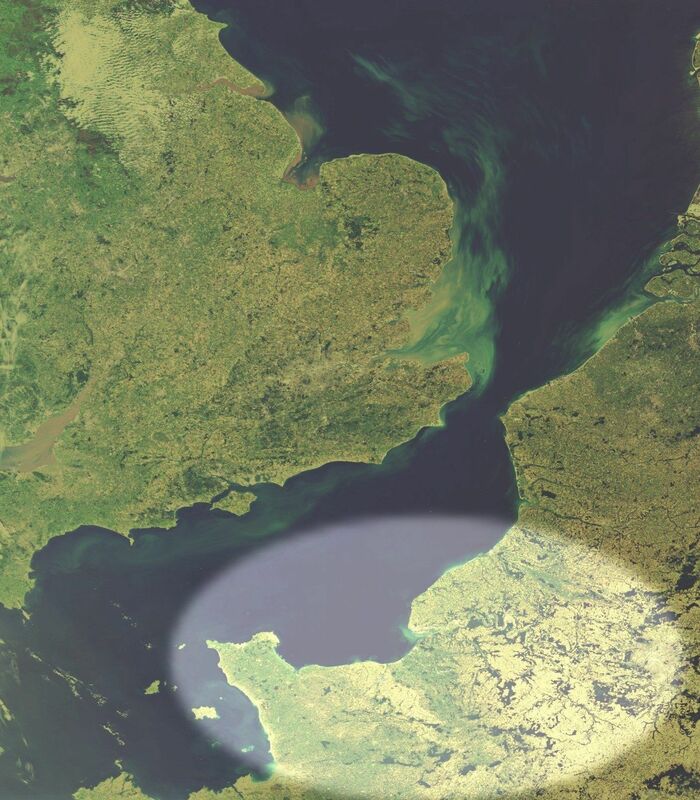 The joint Mission Houlgate 2015 team will be on site from Saturday, August 1st 2015, with the Bible Exhibition opening to the public on Wednesday, August 5th and remaining open until Wednesday, August 19th. Beach mission activities will be divided into two weeks, with the first week starting on Saturday, August 8th, and the second on Saturday, August 15th. In addition to the Bible Exhibition and the Beach Mission, the team will be holding English-language services for holidaymakers on Sunday mornings while the team is on site, and the team will be taking part in the French services too. Both Normandy Vision and Missions Vacances hope that by working together and thus having the two strands of activity of the Bible Exhibition and the Beach Mission, the impact for the gospel this summer will be even greater than in previous summers when there was just the Bible Exhibition. Please pray for those involved in organising and leading the activities at Houlgate this summer, and for all who come along as part of the team. All applications to be involved in Mission Houlgate 2015 are being handled by Missions Vacances through the UBM office. Anyone interested in joining the team for the summer of 2015 should contact them to get more information about how to apply to become part of the team, and for an application form. More information on dates, activities and personnel will be available in due course. 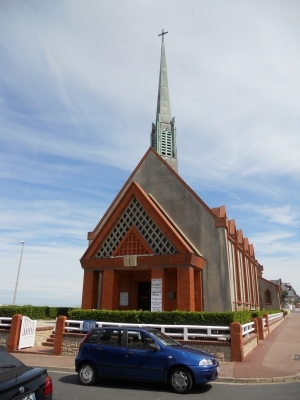 The church right on the edge of the beach where the Bible Exhibition at Houlgate is held every year. More info about the church in Houlgate.